Bauer Built Inc. is one of the largest commercial tire dealers and retread manufacturers in the United States. It employs over 500 quality individuals across seven states of the upper Midwest in its tire, petroleum and administration divisions. Commercial drivers and fleet managers trust the family-owned company to provide quality services and products that keep them on the road mile after mile. When Charlie Kavaloski joined Bauer Built Tire as the director of Information Technology in 2012, one of his first initiatives was to look for a new Managed IT provider for his 34 stores. Charlie wasn’t happy with the responsiveness of his provider at the time. When his store managers had a problem with their systems, they didn’t have the luxury of playing phone tag. They needed live support with timely resolution so they could get back on the floor with customers. Kavaloski shopped around and found Marco’s price point to be a great value and he saw an even bigger selling point in Marco’s live support. As the relationship evolved, Kavaloski provided valuable input on ways to improve interaction with his support team. His feedback eventually led to the creation of dedicated teams that are assigned to each customer. The teams improve responsiveness and the customer experience. “When I have issues or suggestions, Marco listens and is willing to change. I’ve always gotten the impression that they’re trying to be better at what they do,” he said. Bauer Built Tire has since added a voice solution to its managed services offerings and Kavaloski couldn’t be happier. His new system enables his colleagues to stay better connected in the field and on the road. 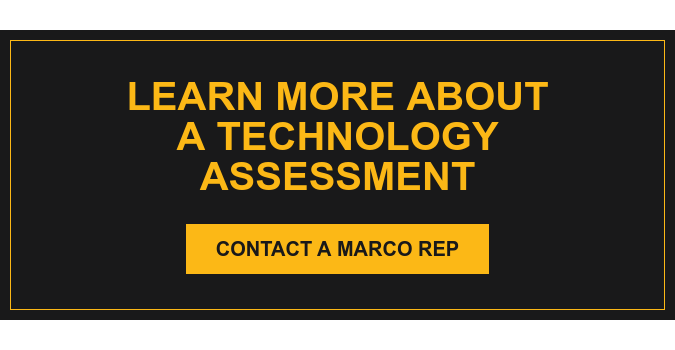 “Our experience with the Cisco voice product and Marco’s support of that has just been awesome. Being able to have people stay in touch with corporate is really a win for us,” he said. More than anything, Kavaloski says working with Marco feels like a true partnership. “I know that we’re partners in business together and I’ve always felt that way. I know I can call and they will listen to me and actually act on it. The fact that they care is important. Marco delivers top-notch service and listens to their customers every day,” he said.